OUR APPs ARE AT YOUR DISPOSAL!! In this section you will find the apps we have available for both Google Play for Android phones and tablets and App Store for iPhones and iPad. Check out to see if you are interested in any of those. This App allows to see the complete catalogue of the brand and buy any product, accessing the stock in real time for both large purchases to smaller purchases (the purchasing function requires being client Roly). The application presents the collections of the brand by Casual summer, winter, workwear, sports, school, accessories, etc., and offers the possibility to check their products according to the criteria required by your projects. For example, you can check all products of a given colour, or a particular type of garment or a particular composition. 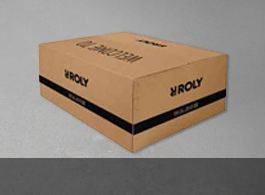 Live the Augmented Reality experience with Roly!